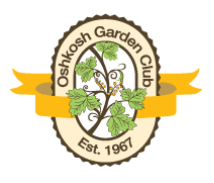 Members of the public are welcome to attend any meeting of the Oshkosh Garden Club. If you like what you see, then join us! Dues are only $15 per year.